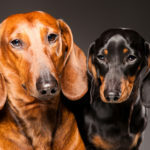 Dachshund dog is one of the amazing breeds. 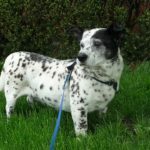 It is considered to be very active as an eternal motor running, so the dog will quickly become loyal and best friend of man. 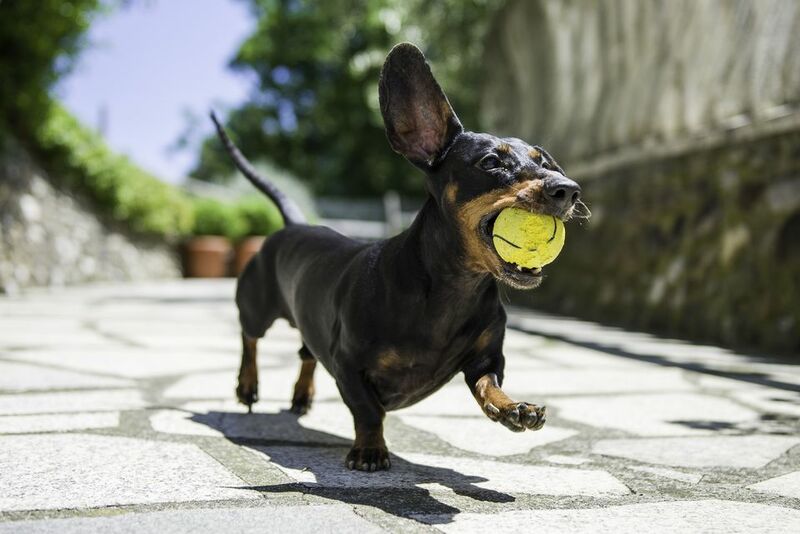 Dachshunds always become interesting, and it pursues anything that moves — it seems this is the meaning of their life. 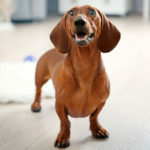 At the first glance it seems that the fee does not suit to you but this dog can be a good companion in particularly large families, since it is quite self-sufficient, can easily make the right decisions, and has a sharp mind. 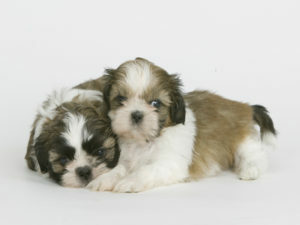 They also have a sensitive charm of infinite devotion to the owner and excellent character. 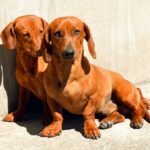 The breed has a long history — these dogs were depicted in ancient Egyptian papyri more than 2000 years ago. 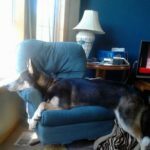 The breed is descended from the hounds, the most distant ancestor was stunted hound. He was inherited remarkable ability to chase prey with a voice, a great flair and intelligence. 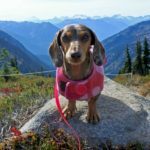 Of course you may have guessed that the breed is primarily a hunting dog, perfectly designed to work in a hole that would catch beaver, otter, badger, etc. 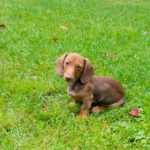 Among small breeds for hunting dachshund is the smallest and the most courageous and confident. It was such a dog to do a lot of hunters the best in the business. 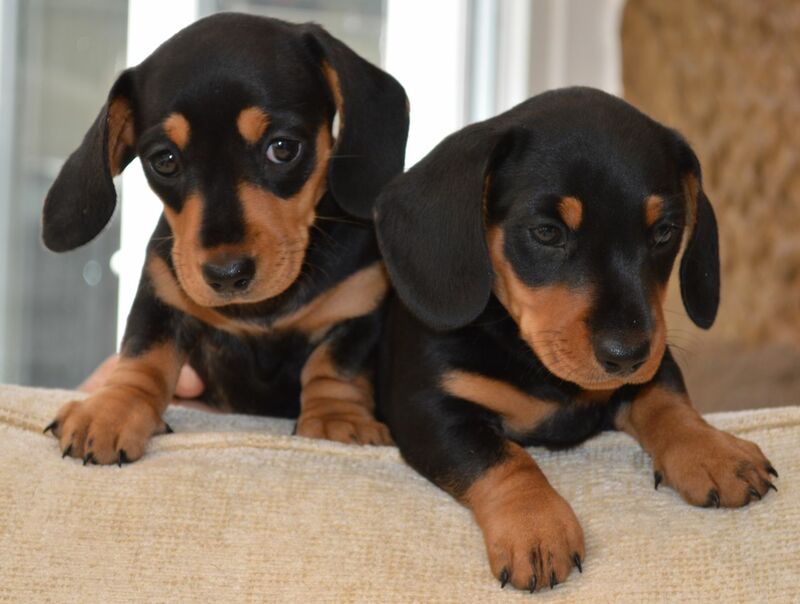 They never consider the merits of the other dogs, because they are satisfied with their choice of the previously selected dachshunds. Warning! 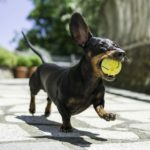 As you see rom historical background, dachshunds are hunting dogs, therefore they need a frequent active walking. Otherwise, you are in risk to get obesity for your dog. Initially the dogs intended for hunting for badgers. 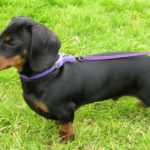 In fact, dachshunds brought about 300 years ago in Germany specifically for hunting after badgers. Their short legs and small size allowed to get into badger holes, and the nature of them is enough to come to grips with these animals. 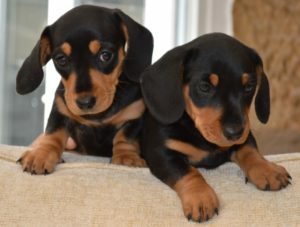 There is not only a black short-haired dachshunds in the world. 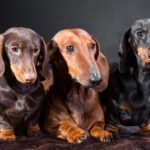 If all dachshunds were originally black today there are 12 standard color representatives of this species and three species of «special signs». They can be black, brown, even gold and wool may be short and long. 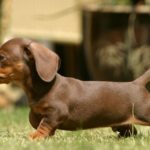 There are also two dachshunds size — standard and miniature. 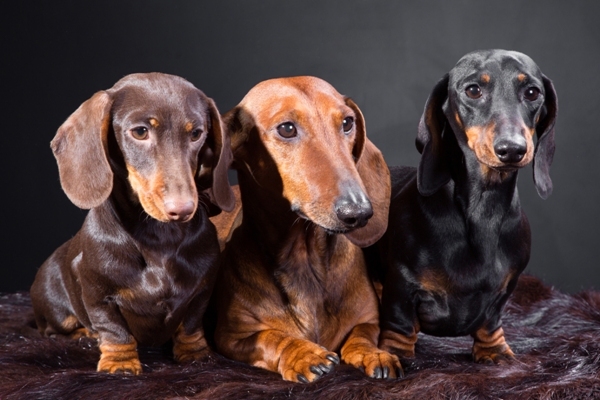 The dachshund became the first cloned dog in the UK. 12-year-old Vinny was the winner of the competition (or rather, won his mistress) and was cloned by South Korean scientists. These five months took care of a puppy, and then sent him back to his homeland. Mistress says that Mini Winnie (the name of a new dog) was not only in appearance is a copy of its «parent», but it has the same habits of Vinnie, he’s healthy and there is no reason to believe that the dog would not live a long and happy life. 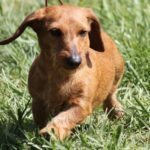 Due to its strong rounded claws dachshund quickly clears a path from earth and stones. It can overcome the ground of 50cm in only one minute.